I love podcasts. I have my list of favorites that I subscribe to and I listen to in my car. One of these podcasts is NPR’s Planet Money, which manages to be both entertaining and informative and feeds my geeky love of economics. A recent episode; however, did not dive into economics so much. Instead it talked about baseball, food vendors, and the world of sales. Food vendors do not get much attention. 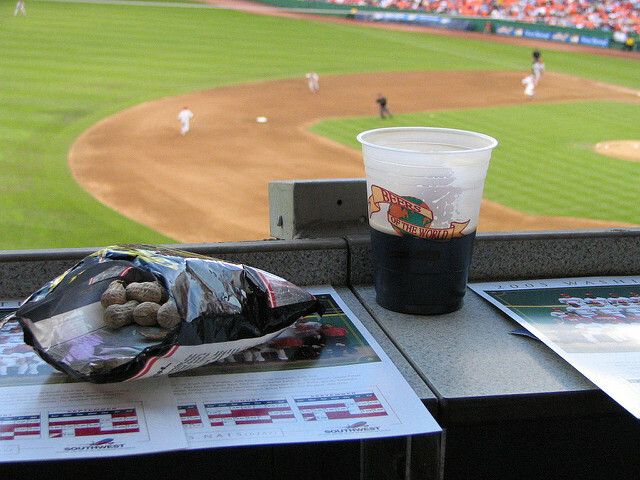 You go to a game, the vendors hawk their wares up and down the stands, and you grab a dog or a beer or some peanuts. Beyond the game time theatrics of slinging food and drinks is an interesting case study in what it takes to be an effective salesperson. The hustle is incredibly important. The fact that Jose owns the stands, moves quickly, spots opportunities, and is the last salesperson to close out the evening cannot be overstated. This partly explains how he has been the top salesperson for the past several years, even though he does not get the premium goods to sell (namely beer). When most people would call it an early night because of the weather or lack of motivation, he succeeds because he is willing to put in the work and a high level of execution. Before the hustle though, come two critical elements for success. First, is the plan. All the hustle in the world does little good if you don’t have game. And by game, I mean the simple act of planning your efforts so you can reduce the amount of effort you have to expend. It’s about doing the right stuff—not just any old stuff. The irony of this is planning is by far the easiest part. Rather than plan, however, we procrastinate and refuse to spend the time upfront to figure out exactly what we are going to do. We just plow on ahead without so much as a thought. Thinking is the critical ingredient that is commonly missing, especially in sales where many reps never take the time to plan anything. Jose had a plan, based on the weather and the game and his data from previous sales. He knew exactly what to expect because he walked into work with a plan in mind. He also made sure to record his past sales efforts so he could understand what worked and what didn’t. When we do not plan, we can expect this insanity to ensue. The second element is strategy. This is often not a strong suit of salespeople, many of who are more adept to action and tactics. Again though, strategy is a critical thinking exercise that helps us reduce wasted effort and focus on what works. Applying strategy is also how we overcome the potential pitfalls in our plan. Sales are often an “in the moment” activity. This means we are reacting to and proactively positioning in the context of engaging with customers and prospects to introduce our solution or product. As a great boxer once said, all the planning in the world does not matter once you get punched in the face. Think of your plan as what you think will happen, but consider your strategy as what helps you navigate when the plan goes sideways. You may object and call that execution. However, what is driving the action and the tactics employed? Strategy is what drives execution; it is the basis and framework of our actions. If execution is our “what,” and planning is our “how,” strategy is our “why”. From the “why” derives all of the tactics, methods and tools we need to accomplish our goals. Jose had a strategy. In the moment where all the vendors choose the items that will be sold in the park that evening, Jose knows who picked what and where they will be selling it. He uses this knowledge to adjust his plan so that he can choose the optimal product and location for the game based on the competitive situation and market conditions. It does not matter what type of sale it is. Many people look at food vendor sales as something not all that complex. While they may not rise to a level as complex as enterprise software sales, planning, strategy, and hustle can still produce an impressive outcome. Particularly with a commodity item and many options in the stadium, a little planning and strategy go a long way towards winning. Just think of what a modicum of planning and a core strategy can do for your sales? My guess is, adding these ingredients to your sales will make your life a whole lot easier and make your hustle that much more enjoyable, leading to better sales results.